This section is a sub-section of the Ideas Documents section. The Ideas Documents section is for Ideas that are reasonably well developed e.g. a paper on a subject, or the output of a Pie and Pint meeting, or where the writer prefers to publish the idea as an uploaded document. 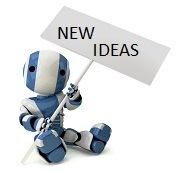 This sub-section provides an alternative way of publishing ideas in an Ideas blog. It is especially appropriate for formative ideas where comments and interaction are wanted to develop it before publishing it as a proposal. However, you can also use it for highlighting a particular proposal document you want to get comments on. Helping others develop their ideas is a key part of getting involved with Probably42, so do view the Ideas blogs below and comment on those that particularly interest you. When viewing a blog you'll find a Subscribe option in the left hand menu so that you can be alerted to any additions or comments added to it. When you are ready to input your own idea just use the Write New Entry button above and read our short Guidelines on how to go about it. What should the objectives of education be in today's world?